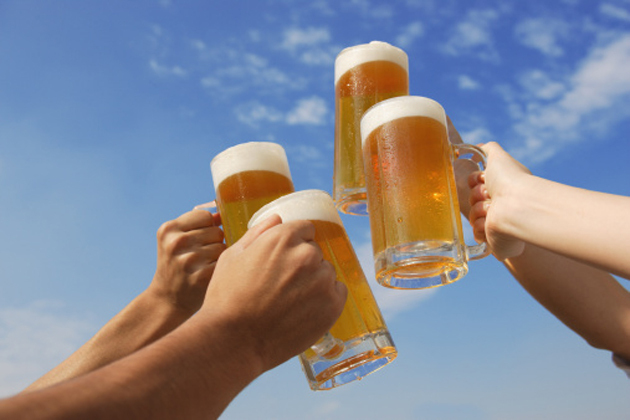 Summer or Fall, any time is a great time for beer. 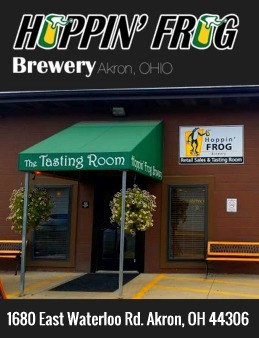 Hoppin’ Frog | Can Fred Karm even make a bad beer? I don’t think so. My only issue with Fred’s treats is that I just can’t drink a lot of them; the rich flavors are so intense, the alcohol is up there, and the cost—well, let’s just say they are not cheap—but they are worth the price. During the summer I often enjoy lighter stuff like his Turbo Shandy, and his light/dark berry brews. My wife, who is a habitual Miller Lite drinker, has definitely taken a shine to Outta Kilter and Karminator. I guess it’s never too late to change your beer habits. On our most recent visit, I tried one of his concoctions with Peanut Butter, Chocolate/Coffee and it was truly a new experience. Perfectly balanced, the PB came through clearly but did not overwhelm the overall taste profile. I look forward to trying it again. I also had a pint of the Oktoberfest, which was just being rolled out on the Saturday afternoon we visited. It was very solid, with a distinct character; at first I thought the hop bitterness was slightly higher than the style demanded, but after a few more sips I came around to the notion that it was pretty spot on. I cornered Fred across the room where he was spinning some records and asked him for some suggestions for something I could store in our basement. I built a wine/beer storage cellar under the stairway—most of it is against the solid concrete outer wall, and the temperature stays fairly cool and steady throughout the season. We settled on a BORIS the Crusher Oatmeal Stout and a Silk Porter as a good place to start; Fred said they should do well for at least 9 months, maybe more. I doubt if they will make it past the holidays. Sweetwater Hop Hash | I keep trying to give IPAs a fair shake, but I keep coming back to the realization that this is not the way beers were intended to taste. My best friend has this stuff from time-to-time; I thought their standard IPA wasn’t bad (the bitterness was light, and dissipated quickly off the tip of the tongue) and I do like their Blue, but the Hop Hash just solidified my overall preference not to drink beers with “hop” in the name. If you like this stuff, it’s not bad. Gervasi Vinyards Farmhouse Ale | This popular winery is a great place to visit, but go for the wine, not the beer. I tried the Farmhouse Ale (bottled) but it turned out to be a pretty standard, hoppy IPA with no unique or notable characteristics. I was expecting something more interesting, and maybe a little “rougher around the edges” taste-wise. 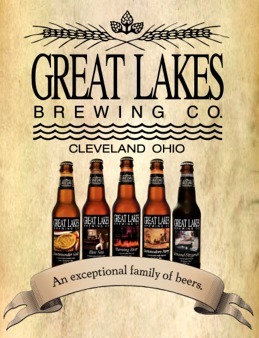 The ale is contract brewed for Gervasi by Thirsty Dog in Akron, who generally makes excellent beers. This one, maybe not so much. I switched to Peroni for my second beer. Short’s Soft Parade | This is a high gravity brew that’s loaded with four different kinds of berries. While it does exhibit definite fruitiness, the malt also manages to balance out the tartness and makes for a very smooth sipper with just enough of a note of alcohol to remind you that it’s 9% ABV. That’s not a lot, but it means you can’t knock back two or three of these like you could a more typical “berry beer.” A substantial and memorable ale, I was glad to find that this top Michigan brewer was now available in Northeast Ohio. It’s brewed in Bellaire, just a little north of Traverse City—if you ever have a chance, be sure to visit. You may never come back. Stiegl Lager | I had enjoyed this beer before going to Germany last May, but when we took a day trip to Salzburg, Austria, the Stiegl Brewery immediately made it on the “must see” list, and we enjoyed both their brewing museum tour and a fine dinner in their central courtyard/bier garten, which was crowded and fun. We sampled several of their beers, all of which were excellent, but I keep coming back to their standard lager, which has become one of my go-to German styles. I also enjoyed a 6-pack of their Grapefruit Radler this summer, which is great for sitting in the hot sun by the pool. Or in the pool.